The use of in-ceiling speakers in smart homes today is significantly increasing and this feature is becoming more of a staple in elite homes. Yes, of course, in-ceiling speakers cost a pretty penny but then they also have huge advantages. For instance, when it comes to surround sound, background music, or a discrete 5-channel living room arrangement, in-ceiling speakers easily shine. 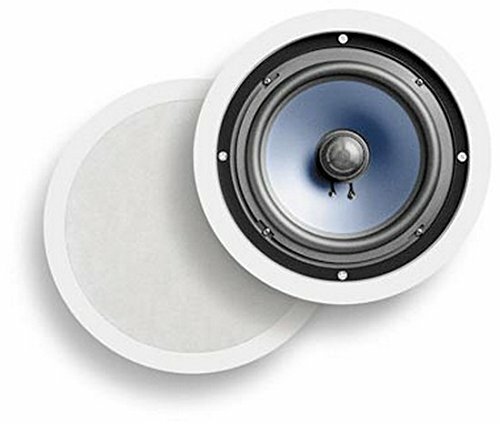 Not wanting to be left out of the game, many manufacturers have delved into the in-ceiling speaker industry. And so, there are many options when it comes to in-ceiling speakers today. Our article today will take you through what, in our opinion, are the best in-ceiling speakers currently in the market. Plus, we also threw in a buying guide to give you a quick crash course on just what exactly what you’re buying is. As always, it was fun putting this together for you, we hope you also have fun going through this with us. 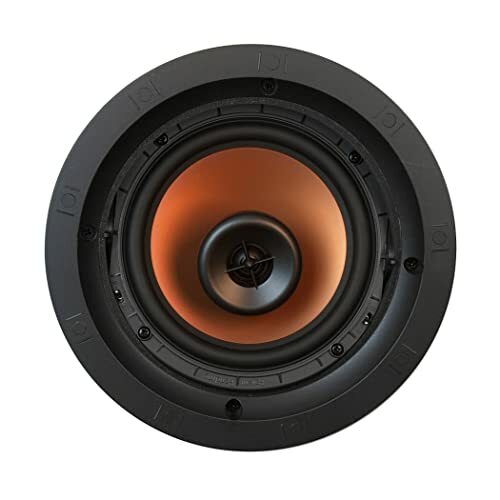 The Polk audio RC80i is a fantastic pair of 8 inch in-ceiling speakers that are currently high up on customers’ favorites list. And why not? These guys sound great and Polk stands behind its speakers with a lifetime warranty. Talk about assurance! If you need something that thrills you with overhead surround audio, pair these speakers with your home theater system. Or you could also just install these in any room where you need to enjoy some good music. These speakers are a 2-way setup and are fairly lightweight, weighing in at 4.3 pounds. Also, with their 8-inch cone and soft dome tweeter, these speakers are not shy at all. They boast a powerful timbre as well as a sweet acoustic. The color of these speakers is also pretty sweet. It’s a white finish. Plus, Polk builds the speakers with rubber, metal, and polymer-composite which probably explains why this comes in decently weighted. But don’t mess with these guys as they still come pretty sturdy and durable. In fact, they are rust and moisture resistant. So, they are suitable for use in bathrooms, saunas, kitchens. In fact, anywhere you expect a lot of moisture from heat can definitely use these speakers. What else do we love about these speakers? Well, they come with an amazing degree of clarity plus the imaging here is really spacious. You’re going to love how the sound here moves up and down rather than just side to side or front to back. So, if you’re looking for something that’s great with the rear surround channels of your system, these work. How’s the bass? Solid, we tell you. 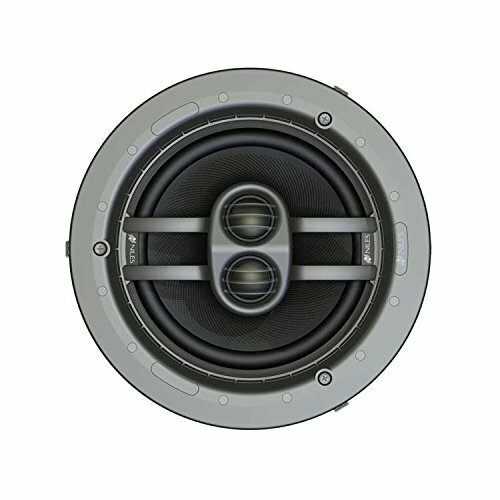 The 8inch woofers here give a thumping bass and with the swiveling tweeter, you can direct your sound toward you to give the best sound experience. Offers a high level of flexibility. Real robust and solid speakers. 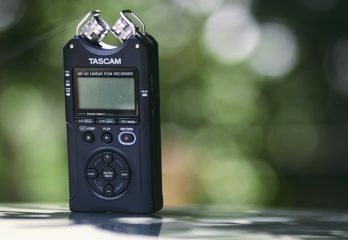 Sound could be more intuitive. 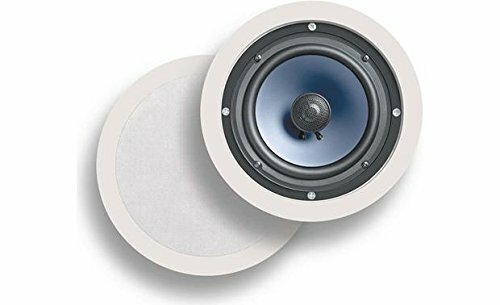 Here is another great pair of in-ceiling speakers that cost less and are also quite easy to install. We love these speakers for quite a number of reasons. So, let’s get to them without much ado. First, this comes with Bluetooth connectivity which cuts out the wire clutter. With this feature, you can seamlessly connect to any of your devices and stream music all day every day. It’s compatible with any device at all, provided the device comes Bluetooth-enabled. Now, these speakers actually come with a really low bottom end response. Perhaps, the lowest we might find on this review. However, they make up for this shortcoming immensely. These speakers pack a 300 watt peak power capacity which is just awesome for volume! In fact, these speakers provide not just loud sound, but a super clear audio quality as well. To ensure durability, we are glad to announce that this comes with a really durable cone. The cone is made of polypropylene and also features a rubber edge. This rubber edge significantly increases the cone’s life and also makes the speakers great for custom audio application. Of course, we also have to mention the ½ inch polymer tweeter also. It helps to keep your sound properly nuanced. And in all gives you an audio quality that you’ll be pleased to listen to. The ease of installation here is another reason you’ll love these Pyle speakers. They come with a magnetic grill that’s so easy and convenient to fix. Whether you’re attaching or detaching, the grills are a joy to work with. Also, Pyle included clamp-type mounting brackets as well which help you to mount these easily as well. Finally, the fact that these come as 6.5 inch speakers automatically gives these a huge level of versatility and flexibility. Huge 300 watt power gives awesome audio at an affordable price. Easy installation also comes with mounting brackets included. No rear enclosure which makes this not ideal for high moisture environments. Okay, this speaker comes as a single speaker unlike the others we’ve reviewed which come in pairs. The good thing is that though this comes as a single speaker, it is still obviously well priced. So, you’re not losing at all. If you’re a bass head or you’re out in the market for something with amazing clarity, this is one speaker you can try. It delivers clear audio with exceptional bass frequencies. They are also really easy to install and we just got started on all the reasons this speaker rocks. First of all, this speaker comes in Micca’s Media range, that is, it belongs to a range of speakers. This ultimately means that it is designed to be used with other speakers if you want perfect tonal matching. Thankfully, this is affordable at a sub-$50 price. 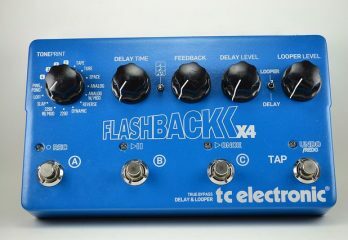 So, you should probably consider getting more of this if you want your sound to blow minds. Being an 8 inch speaker, 2 speakers are, most times, enough for the average living room. So, even if you intend to get more, this still saves you some quid. Installation here is also super easy like most in-ceiling speakers. However, be careful though. You want to use a screwdriver rather than a power drill. A power drill would literally break the tabs on here. Furthermore, the Micca M-8C comes with a powerful 8 inch woofer which delivers the bass response excellently. In fact, some customers actually had to turn off their other stand-alone subwoofers as the bass from this speaker was plenty enough. Overall, the sound quality here is really good but it can even go from really good to really great. That would take some adjustments though. But you can totally iron that out with your speaker guy. Comes with 8inch woofer that handles the bass really well. Gives exceptional value for money. So affordably priced! Sold singly so you can get the exact number of speakers you need without buying excess. The grills here occasionally come lose since they are not screwed on. You’ll still have to tweak this a little bit to take this sound from good to great. Some customers would have preferred a little more depth in the sound. The Yamaha NS-IW280CWH has been receiving tons of positive reviews from customers. 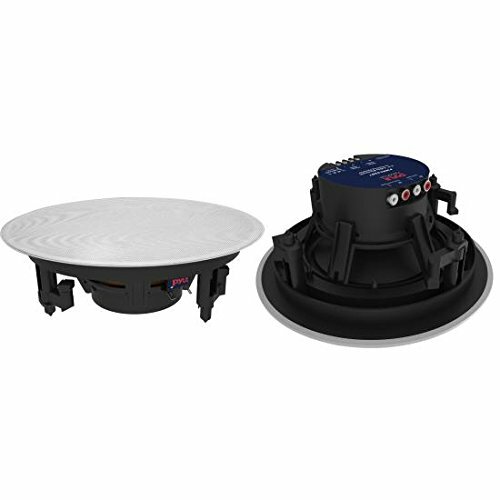 So, yeah, it holds the spot as one of the most popular in-ceiling speakers in the market. It’s affordable, comes with a 2-year warranty and more than satisfies in terms of performance. But before we get into the main review though, we might have to mention here that this does not ship outside of the US. 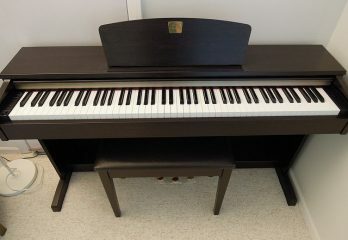 First of all, it comes from Yamaha – one of the best in the electronics business. Everyone knows Yamaha and we also know that their products last. 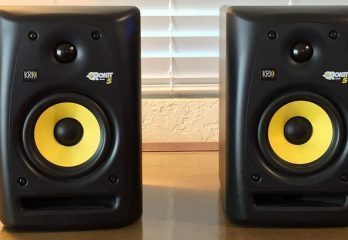 Now these speakers come as a pair, however, they are still affordable at their sub-$100 price point. Pretty good deal, right? And it becomes even “gooder” when you realize that you’re not just getting any kind of speakers. You’re getting two amazing high-definition audio systems in your house. These speakers are somewhat lightweight even though they weigh nearly twice our first product Polk. They’ll fit into your ceiling conveniently and good news, installation is quite a breeze. Many customers found that the addition of the template in the package was really helpful cos it meant nearly anyone could install these. Except, of course, you’re hopelessly “not handy”. Alright, still on installation, this speaker connects with wiring. And we love the fact that the wires here are installed in the ceiling which means that there won’t be messy wires interfering with your home décor. The cones here are 6.5 inches so these are 6.5 inch speakers and totally versatile. Plus, they are also totally maneuverable which means that you can position these speakers in such a way that the sound comes exactly where you want it. Wiring can be concealed in the ceiling too. Speakers can be maneuvered to face the listener. Swivel tweeters help to disperse sound wider. Does not ship outside the US. Some customers were not impressed with the bass here. Yeah, we have another pair of speakers from Polk Audio. What can we say? The brand is good. 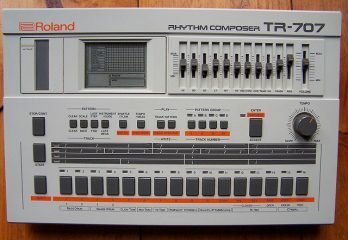 This time, we feature the RC60i which is obviously a baby brother to the RC80i. But don’t underrate these speakers, they are fantastic and work for nearly any kind of sound system. One thing we love about the Polk Audio RC60i is the fact that you can fix them anywhere you want. This was a quality we also saw in the RC80i. Because of the quality and type of material that Polk Audio used to make these, the RC60i is completely water-resistant. This means that these speakers can work anywhere even if the places will see a lot of moisture. So, for instance, you can install these in your bathroom, your kitchen, or even a sauna. The best part is, they do not need a lot of space for installation which gives you even more options. Now, these are round speakers so when installed, they come out looking like a lighting fixture in a recessed, unobtrusive fashion. However, there’s nothing recessive about the sound. It comes out completely glorious. But there’s more to love about these speakers like the fact that they come with great tweeters and drivers. With the combination of these two features, these speakers ensure that your sound always comes out with amazing clarity and spacious imaging. In fact, it also ensures that wherever you are in your room, your sound always sounds sweet and well-balanced. That is as against having just one teeny sweet spot in the room. Still on sound, the quality here is totally HD (High Definition) which means performance is always superb. And you’ve got the polymer composite cone and dynamic balance to thank for that. Durable and moisture-resistant and so can be used in bathrooms, kitchens and saunas. Offers convenient and flexible installation. High Definition sound with exceptional audio quality. Drivers and tweeters ensure that sound is clear, well-balanced and properly dispersed. Easy to install with easy to understand manual. Comes with rotating cams to protect speakers. Quite pricey compared to the competition. Could also be a bit expensive to install. 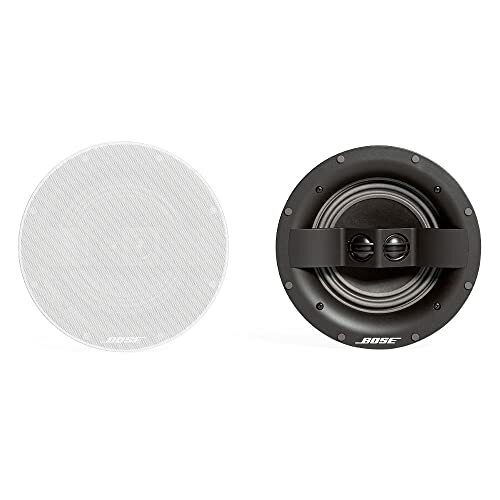 The Bose Virtually Invisible 791 II is a pair of boss speakers. And dare we say that it does take a lot of guts to call your speakers “Virtually Invisible”. But it only goes to show the level of confidence that Bose has in its speakers. 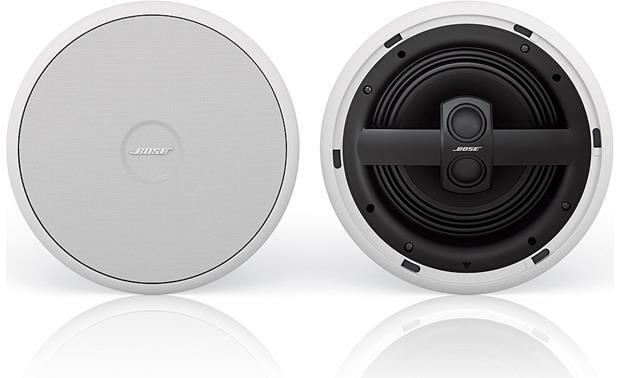 Anyway, Bose calls this “Virtually Invisible” because the speakers are super thin. In fact, it’s so thin it almost feels like the speaker isn’t there. And thankfully, the grille is paintable. So, you can camouflage this into the color of your room to help these speakers remain hidden. Also, the grilles are magnetically attached which means that you can easily fit this on or take it off. However, it’s still tough enough that there’s little or no chance of the grille bending out of shape. Alright, these speakers cost quite a fortune. So, we do expect a level of excellence when it comes to audio quality here. And that’s what we get here. Bose invests a lot in the audio, even though it keeps its list of other features quite short. This comes with a 7inch woofer so expect great audio thumping bass. Plus the 1 inch tweeter on each of the speakers also ensure that the amazing, well-balanced sound gets to all parts of the room. And for more specs, this comes with a 50Watt wattage which we think you should drive with a 10Watt amp for the best performance. Of course, audio response here is fantastic as anyone would expect from Bose. The lows, highs and mids are completely refined, and even standalone, these speakers are totally balanced tonally and crisp. Of course, throw in a Bose centerpiece, and these speakers will be totally amazeballs! It’s so thin, it’s nearly invisible. 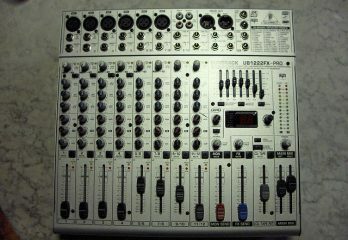 Sound is excellently balanced and really clear. Comes with a magnetic grille. 8inch speaker, nearly invisible design, the Boston Acoustics HSi is looking good from here. It’s definitely not the highest end speaker you’ll find on the rack. But it does a decent job anyway. This comes with an excellent woofer with what Boston Acoustics calls a Deep Channel Design. This woofer helps your speaker deliver quality, cranium shaking bass. The best part is that the speaker would only need a little power from the amp to deliver this much. Also, there’s the Kortec tweeter which helps to keep your high frequencies clean even at high volumes. Furthermore, with this tweeter, you can be sure that your speaker will disperse sound properly. This way, your speaker gives well-balanced sound everywhere in the room. One thing we really love about this speaker is its non-intrusive design. The design is greatly reduced in order to ensure proper integration to the ceiling with little or no extrusions. For installation, Boston Acoustics keeps things simple. This comes with a wide-mouth flange plus a magnetic grille. So, anyone can install this and with relative ease too. But that’s not all. This also comes with doglegs. Funny name, right? Yeah. But doglegs refer to the mounting arm on this speaker. These arms are sturdy and rugged, plus, they also pivot. And ultimately, they help to make installation a breeze as well. We think this speaker is a pretty decent choice. It’s beautiful in its white finish, and is also pretty good by way of performance. Nonetheless, we still think that this is a bit pricey for a single speaker. This is a bit pricey for just one speaker unit. Niles designed this CM7SI as a hideaway speaker. So that means that this speaker will work in tight spaces where it would, otherwise, impractical to install multiple speakers. And this speaker is a beast, people! It comes with inputs for left and right channels. Hence, with just one unit, this speaker is able to reproduce en entire stereo music signal. Also, thanks to the hideaway design that we mentioned initially, this makes a perfect speaker for all kinds of venues. It can work in hallways, your galley kitchen or any spot around your house where you want to some good music. With so many years of experience designing speakers, we are not the least bit surprised at how impressive the CM7SI is. Check out some of the features this brings to the table. The bass is unbelievable thanks to the 7 inch glass-fiber woofer in this speaker. This makes this speaker half an inch larger than most regular speakers. And though not an 8 inch, this still delivers rich, full bass much better than many other speakers within this class. But there’s more… check out the dome tweeters. We’re talking about 1 inch, fluid-cooled UltraSilk tweeters. They are positioned at opposite angles which help to disperse the music and separate the audio so that two channels of music are completely audible and reach a wide area. Now this speaker is also water-resistant as the materials used to manufacture this are sturdy and water-resistant. Plus, it comes with Niles’ lifetime warranty. And the speaker also comes with a magnetic grille which makes this easy to install. Comes with water-resistant parts so it can work in hih-moisture environments. A little pricey for one speaker unit. The Klipsch CDT-5650-C II is a top-notch speaker with a really low-profile that blends into your home décor seamlessly. With a solid construction and high-tech design, this is the speaker for music and movie lovers. It works both for surround sound and with home theatre as well. Or if you want stereo listening, you can install this speaker in pairs too and couple it with a multi-room audio system. However you choose to play it, this speaker is ready to play with you. Alright to the first feature we will check out here, and that’s the tweeter. This tweeter gives as much as a 100 degree dispersion. Plus, it swivels so you can totally direct this speaker, and consequently your sound, the way you want it to go. But that’s not all you can adjust, the woofer also comes adjustable too. It’s a 6.5 inch woofer, by the way. And you can adjust the woofer a full 360 degrees. Plus you can also tilt it up to 15 degrees in any direction at all. With this flexibility, you get excellent, detailed sound but you also get it at your convenience as well. And this is even the bigger plus for us. You’ll be able to adjust your sound to suit your room acoustics as well as your own personal tastes too. And yeah, there’s the horn feature which we really like. It’s where the tweeter sits and so, with its flared opening, it brings out every nuance in your music. But that’s not all, it also reduces any reflection which might negatively affect your sound. Compact and super low profile. These in-ceiling speakers from Theater Solutions round off our reviews today on in-ceiling speakers. They are 8 inch speakers made from high quality materials such as silk titanium, butyl rubber, and fiber. So, in terms of durability, these speakers do well. These come with a 250 Watt rating which translate to terrific sound volume and power. They are also super efficient at 92dB with an impressive frequency range of 30Hz to 20Hz. And now to installation, these are pretty easy to install as are all our speakers on review. They come with easy to attach grilles which are paintable. So, you can blend these to fit into your ceiling just fine without hurting your décor. They also come with a unique wall locking mounting system. And it’s really great that these do not need any hardware for mounting. All you need are the cutout templates and some guidance. And all that already comes with the package. Woofer gives a high quality sound. A few customers still find it a little hard to install. A common problem most faced when designing home theater systems was that of speaker placement. That is, how to place all the different speakers that usually come with today’s 5.1, 7.1 multi-channel audio systems. And not just that, but how to place them such that they don’t clash with the home décor. As they say, necessity is the mother of invention and so it was this problem that led to the invention of in-ceiling speakers (and in-wall speakers too). In-ceiling speakers are actually like your traditional speakers but without the cabinet. They are, instead, mounted on a special frame which conceals them from sight inside your ceiling. Due to this, in-ceiling speakers tend to deliver on an excessive amount of bass especially when they aren’t mounted on a good back-box. To overcome this problem, you must always factor in a quality back box when thinking of installing in-ceiling speakers. The right back box is critical in ensuring that in-ceiling speakers deliver a most amazing sonic experience. However, in-ceiling speakers were not always this marvelous. In fact, until recently, the idea of hidden speakers wasn’t doing well especially with the 5.1 multi-channel system as well as home theater systems. However, with technological advancement, all that has changed. 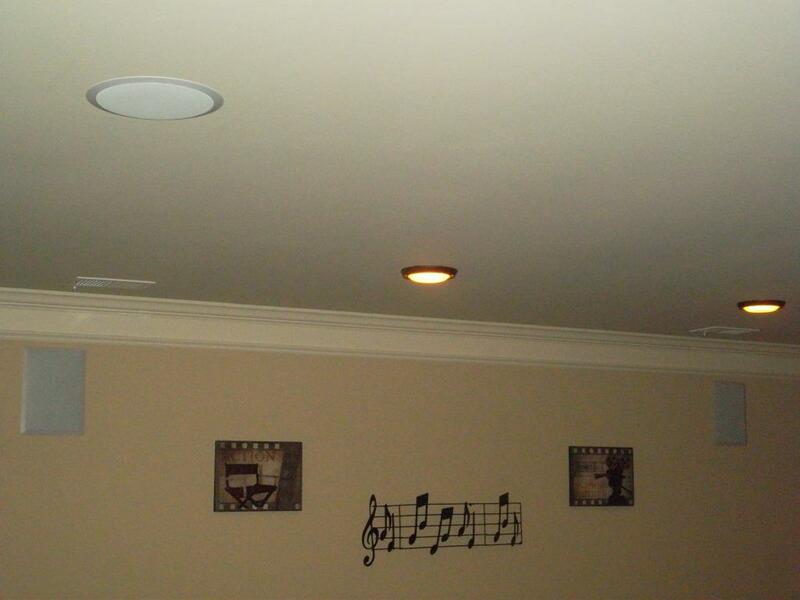 Today, concealed speaker systems such as in-ceiling speakers can provide high quality sound. Maybe they still have some catching up to do with conventional free-standing speakers. But hey in-ceiling speakers sure have come a long way from where they started. 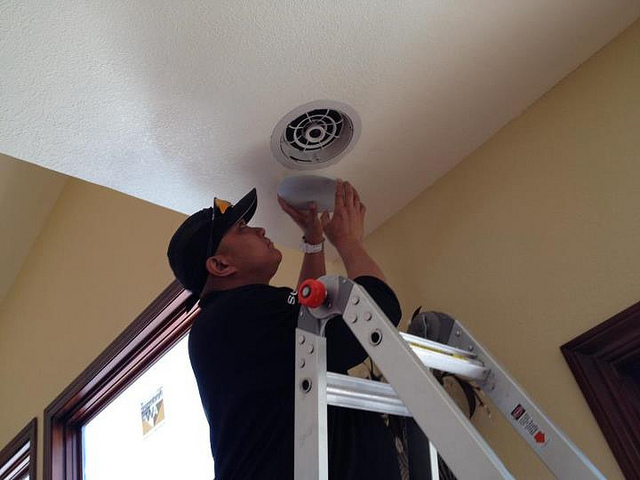 Here are some commonly asked questions concerning the installation of in-ceiling speakers. What Size Of Speakers Do I Need? There are different sizes of speakers between 4 inches and 8 inches. But the most common are the 6inch speakers and the 8inch speakers. Here’s something to note, though. The size of a speaker doesn’t exactly refer to the size of the speaker itself. It actually refers to the size of the cone in the speaker. 4 inch speakers or smaller: If aesthetics are a priority in a room, then this is a good option. However, bear in mind that this won’t give you the best audio. They are easier to hide but they don’t deliver strongly on the lower and mid frequencies. 6 inch speakers: This is like the best speaker size when it comes to in-ceiling speakers. 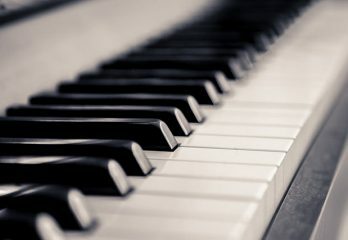 They deliver on nearly everything from background music to surround sound, even to left-center-right applications (LCR). Plus, they are easy to hide too. It’s like your best bang for your buck in terms of size and price. 8 inch speakers: If you need more low end power, 8 inch speakers are your best bet. They give the best audio range as well as bass response especially when paired with a good amp. But then there’s a price to pay. They usually come more expensive and are quite difficult to hide. What Shape Of Speakers Should I Get? 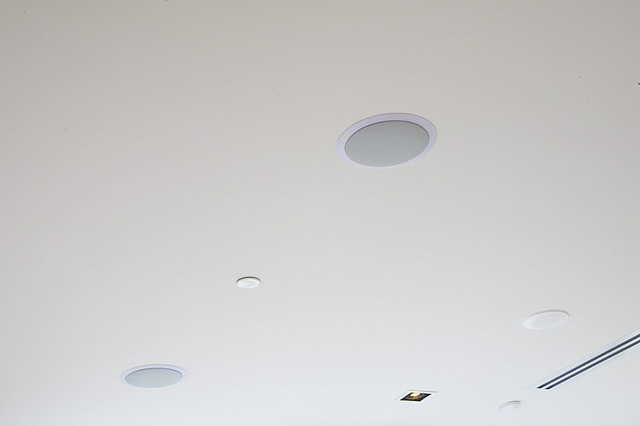 When it comes to in-ceiling speakers, there are two shapes you can choose from – the round and the square. Most people go for the round but it’s not a law. You can consider a square speaker in certain peculiar situations. For instance, if you have square downlights or the room in question comes in an angular design. But if you’re worried about sound quality, the shape of your speaker does not impact on that. How Many Speakers Do I Need? The number of speakers you choose should depend on the size of your room as well as the size of the speaker. Plus, the number of speakers you use also impacts on the consistency of sound you get. What do we mean by that? Say you decide on just a pair of 6inch speakers for instance and you have to throw a party in your living room. To make up for the tiny volume, you’d have to turn up the volume of the speakers significantly higher. Trust us, people standing close to the speakers aren’t going to be too pleased. It’s best to get bespoke advice from your engineer on the number of speakers to get before installing an in-ceiling speaker. But, generally, like in the scenario above, a good advice would be to go for 4 6inch speakers in a square arrangement. If you go for 8 inch speakers, then a pair of speakers might not be a totally bad idea since they tend to pack a lot of sound. A big part of ensuring your in-ceiling speakers deliver their best sound is to install properly. Now, one challenge with in-ceiling speakers is that most fire downward instead of at the hearers. So, of course, they don’t sound so great and kinda feel like a waste of good sound. To remedy this, many manufacturers now manufacture their speakers such that you can tilt them slightly off-center. This way, they are not pointing to the floor and the sound is a lot better. So we guess this is a good time to say that you need to get maneuverable speakers if you want to get the best performance. Also, ensure that you align them such that they are symmetrical with your room as well as any other pre-existing feature like a lighting can. Furthermore, for running wire, ensure you use a 16-gauge, at least. In fact, a 12-gauge is a better option. You have to make sure to avoid any power cable in the wall else it could cause interference and that would tamper with audio quality. Next, you must use a back box. A back box is like an enclosure that houses your speaker either entirely or partially. When your speaker is enclosed, you sound is clearer and your speaker is able to maximize volume and frequency range better. Most in-ceiling speakers already come with a back box but if yours does not, you can DIY with materials in your home. Lastly, your wire landings… Don’t skimp on them. Only use high-quality 5-way binding posts if you want a clean installation. Also, use a wall plate with clear, correct labeling. Polk Audio manufactures some awesome speakers and we saw that in action in the two speakers from Polk Audio we reviewed today. It’s obvious the brand does know its stuff. 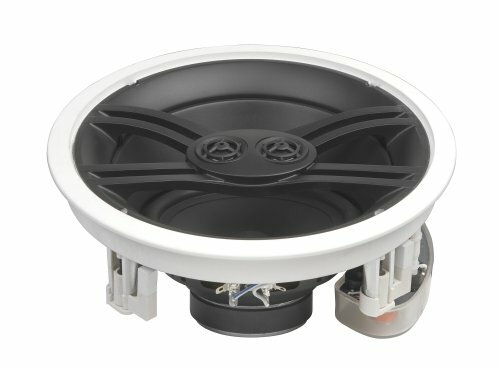 So, it comes as no surprise to us that our winning in-ceiling speakers today are the Polk Audio RC80i 2-Way In-Ceiling Speakers. These speakers give us literally everything we look out for in in-ceiling speakers. 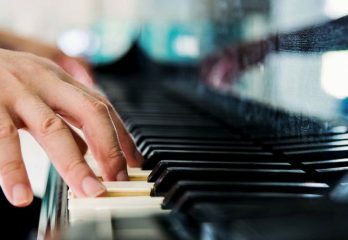 It’s not just that the sound is great, it’s also that the song is really flexible. Plus, the units are super easy to install too. And at this price point, there’s no doubting it. 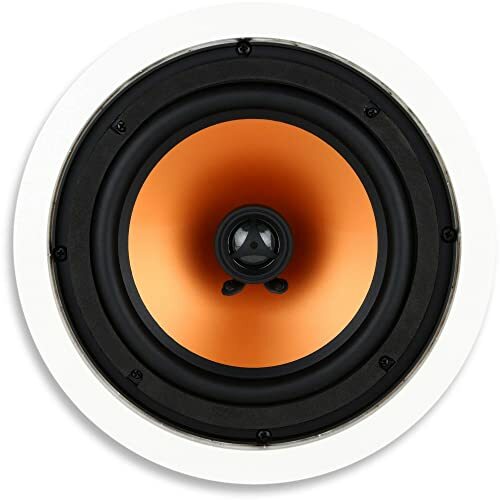 The Polk Audio RC80i 2-Way In-Ceiling Speakers are the best in-ceiling speakers in the market.